Classic examples of dilution ventilation are windows with exhaust fans (used to remove contaminated air) and open windows that provides fresh outside air. In an arts workplace that produces air contaminants, the exhaust fan should expel contaminated air from the space, pulling it outside. Locate the exhaust far enough away from all air sources so that you do not recirculate contaminated air or endanger someone else's air source. Dilution ventilation should not be used where large amounts or highly toxic air contaminants are being generated. It is difficult to consistently provide large volumes of uncontaminated air with this system, and to calculate the amount of fresh air required to replace the contaminated air. If you use this system, work with an industrial hygiene and ventilation expert who can calculate how much makeup air is necessary. Do not rely on your sense of smell as a guide to the effectiveness of the ventilation. Many toxic substances are not detectable at low levels, yet are very harmful. For a full evaluation of your ventilation system, consult with a ventilation engineer who will use airflow instruments and smoke tubes to track and measure the flow of air, and ensure that design specifications are met and that the system works properly. These tests should be part of your normal maintenance schedule. • Is makeup air adequate? There must be sufficient fresh air from outside ("makeup air") to replace the air being exhausted. Insufficient makeup air weakens the performance of the exhaust system. This can be difficult to detect, and you will need to work with a professional to get an accurate assessment. If the air quality in the room is poor, the air is hazy, or the contaminants are not being adequately flushed out, makeup air might be insufficient. • Is the makeup air source positioned properly? If the makeup air source is located too close to the exhaust outlet of a dilution ventilation system, the makeup air can be drawn directly into the exhaust duct and will mix with contaminated air in the room. • Are the contaminants being drawn away from your face? Make sure that clean air enters the room, passes your face, mixes with contaminants and immediately exhausts them out of the space. A professional smoke tube indicates the direction of the airflow. In place of a smoke tube, you can substitute an inexpensive child’s soap bubble-making kit. Watch the direction the bubbles move to see how air flow occurs in the space. • Are obstructions interfering with airflow? Ventilation can become compromised if the airflow is blocked. For example, a vertical easel can easily block fans or exhaust systems. Carefully position the makeup air source, exhaust fans and your work tools (such as an easel) to prevent interference. 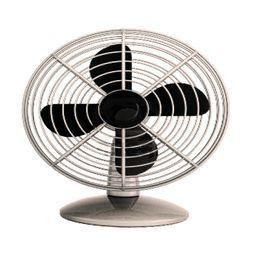 • Is the fan connected properly? Connecting propeller fans in the wrong direction will cause air to blow into the room instead of being exhausted. This is easily detected using the soap bubbles. • Is the exhaust air being recirculated? Recirculation of exhaust air means that the toxic contaminants are also being circulated back into the space. Soap bubbles can be used to follow the path of exhausted air and direct them away from fresh air intakes. By following these simple tests and guidelines, you can help ensure that your ventilation system is working. In addition, check the Resource section of this chapter for recommended books and organizations that also might address your ventilation concerns.